Quick release couplings are usually derived from the pneumatics market. Due to this origin the seal of the couplings is often ensured by high air pressures. if such couplings which were designed for high air pressures are used in the watercooling sector with its low pressure it has happened in the past that leakages were the consequence. 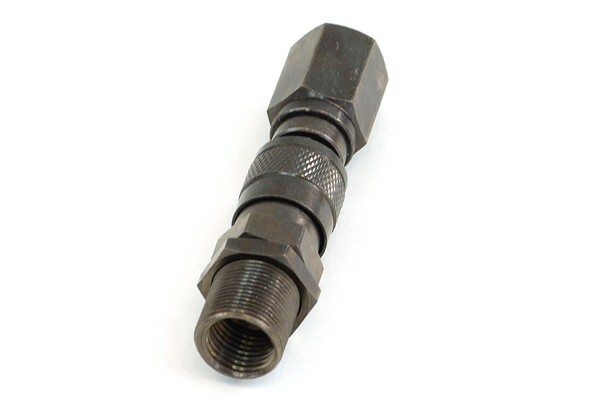 Phobya has addressed this issue and has designed a quick release coupling especially for watercooling applications. Therefore Phobya can now guarantee a perfect seal when the couplings are used in a watercooling system. As they were specially designed these couplings can not be used with air pressure but only with low-pressure water applications. The Phobya quick coupling kit is self-sealing, meaning that the coupling can be separated without leakage even when the loop is filled. Both sides seal safely when separated, at most 1 to 2 drops can spill out (therefore not 100% leakage-free). These quick release couplings are ideal for external radiators as they allow quick and safe separation for transport. if you wish to make an external radiator easily separable you require two of these kits (1 to the radiator, 1 from the radiator).